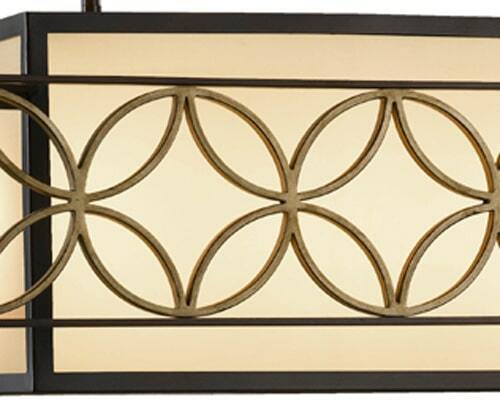 This Feiss Remy Art Deco style large 4 light designer pendant is outstanding and features a wonderful mixture of metal and fabric to create a stunning Deco style ceiling light. Suspended from a large rectangular ceiling plate and two drop rods, the central rectangular shade is encased in a honey hue Organza fabric, with large outer rectangular fretwork incorporating inner circles. The frames metal work is finished in a rich heritage bronze, with Parissiene gold highlights on the inner fretwork decoration. 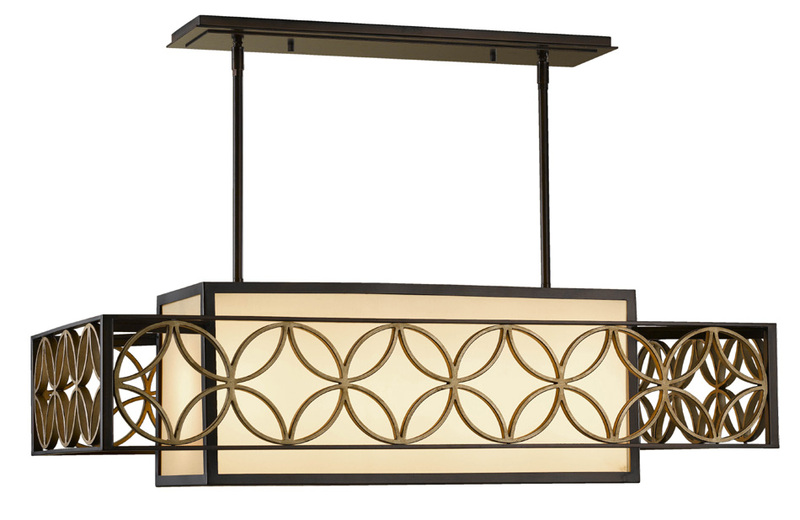 The Remy four light is ideal as a large feature pendant in living areas, over a dining table or larger areas such as Art Deco designed foyers and contains all of the attributes required to create an authentic Deco interior scheme. Supplied with eight 300mm rods and two 150mm rods that can be used in any combination to achieve the desired drop, please see below for exact dimensions. Please note that this fitting weighs 23.2kg and requires careful installation. 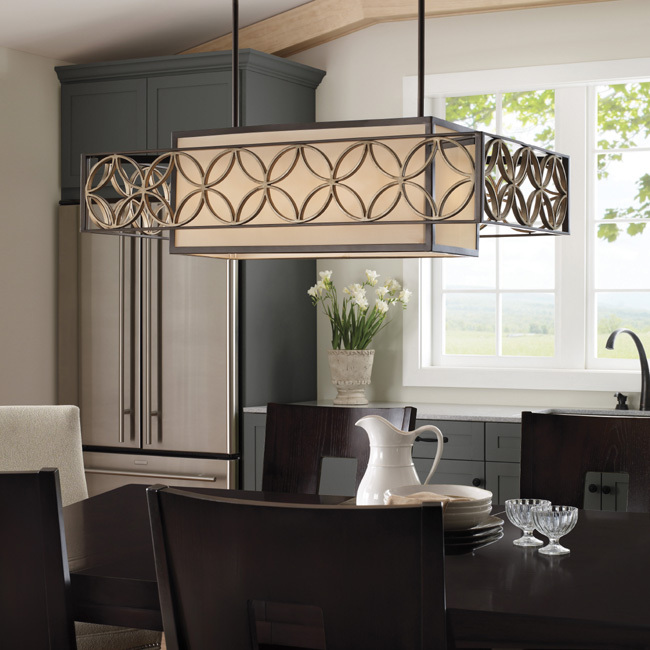 There are matching fittings available in the Remy lighting range that includes a wall light, flush ceiling light and two single pendants; please see below. Designed in the USA by Feiss, founded in New York in 1955. 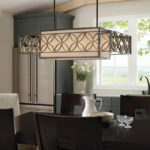 They have become well known over the years for their contemporary yet classic styling, quality and great original designs like the Remy Art Deco style large 4 light designer pendant featured here.